fast and affordable from your phone, tablet, PC or USB flash drive. and print your documents in colors for 0.20 USD per page! Print, copy or scan at different locations on the market. for color A4 document printing for everyone! Printbox is on the go solution for document printing. It combines Printbox cloud system with many features such as: free user cloud account, free document storage, free account management and remote access, online payment, and self-service kiosk for A4 document colour printing. 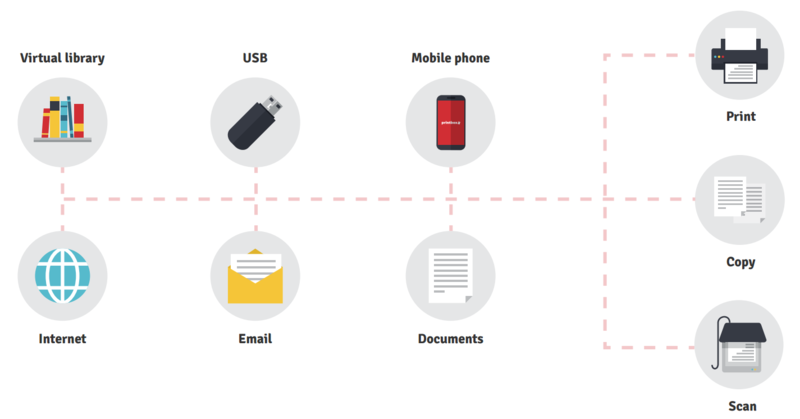 Printbox system enables registration to anyone and gives users free Printbox cloud account into which users may upload their files from phone, tablet, PC, USB stick or Printbox library. All documents are stored in Printbox user cloud account and are reachable any time at any Printbox kiosk or remotely via web application at bs.printbox.net. Printbox system also links all Printbox kiosks into global network and enables registered users to print documents from their Printbox cloud account at any Printbox kiosk. 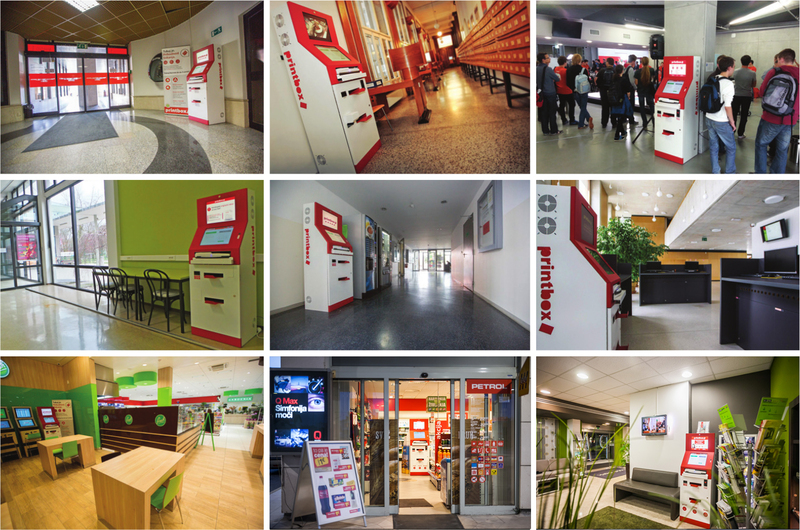 Printbox kiosk is a self-service printing, copying and scanning kiosk available in many countries including Austria – in shopping centres, petrol stations, libraries, universities and student residences. Using a Printbox kiosk is simple, and is performed through a touchscreen interface. You can create your own free Printbox user account on a Printbox kiosk or print documents without registration. You can load files that you want to print to your Printbox user account from a USB flash drive or via bs.printbox.net , e-mail, Windows program or mobile app. Pay in cash at the Printbox kiosk and start printing. Don’t forget: Printbox kiosk offers you colour printing for the price of black-and-white printing. To whom Printbox is intended? With Printbox you may print or scan student literature, invoices, contracts, presentational literature, invitation letters, thanksgiving letters, children's songs and coloring books, articles, Boy Scout program, flying tickets, cooking recipes and other documents at any Printbox kiosk. You may print only 1 page or multiple paged documents at once, every time at your nearest Printbox kiosk. Document printing will take no longer than a few minutes. Below you may read feedbacks and stories from some of Printbox users with different age and profession. They have shared their user experience. 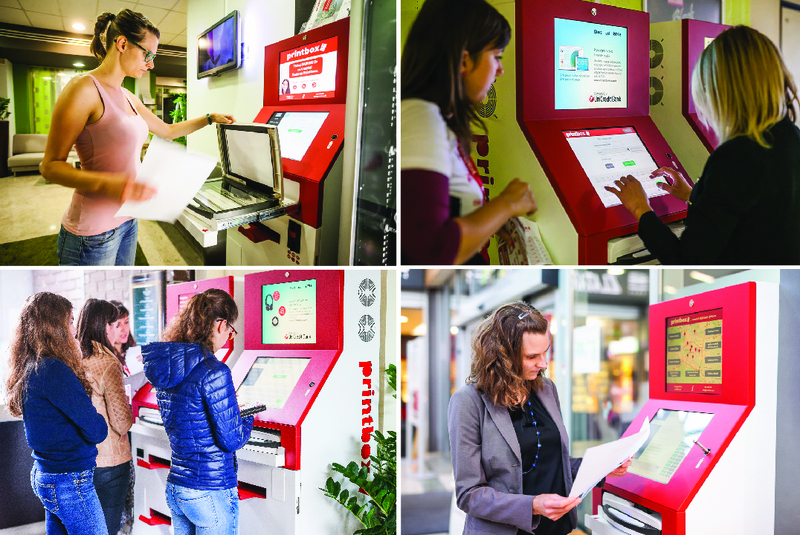 Printbox kiosk is more than just a printer. You can print, copy and scan different types of documents, pay for the services, and store and archive in the user account available on any Printbox kiosk, on the website or mobile application. In all Printbox kiosks you can pay in cash. Credit can be used anytime and anywhere in Printbox kiosks in Bahamas. The Printbox cloud system offers several possibilities to store, send and upload documents, which provides for a user-friendly experience. Choose manual menu on the top of the screen to read more about the use and operation of Printbox. Payments can be made at any Printbox kiosk (cash) or with online payment (bank transfer or credit cards). 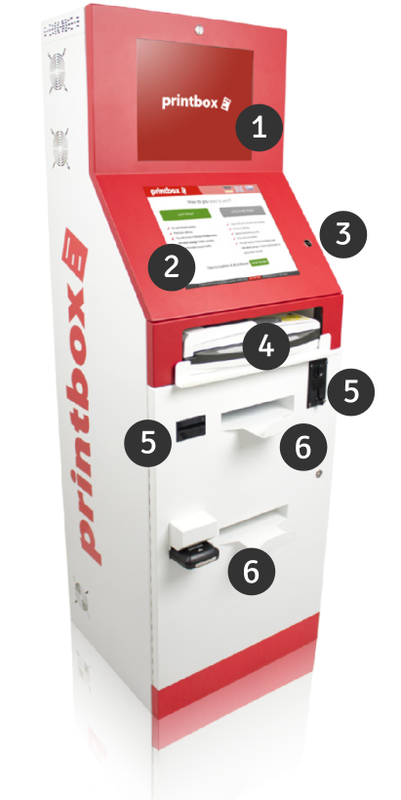 Where can you find the closest Printbox kiosk? Printbox kiosks are available in different locations across Bahamas. Some locations offer access 24 hours a day, 365 days a year and most of the kiosks are available for the public. Click on location menu on the top of the screen to find the nearest Printbox kiosk and try it out. 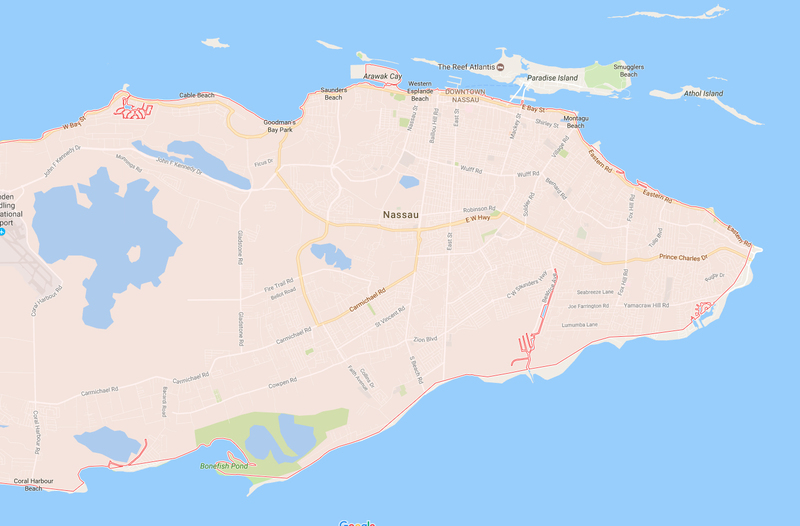 Printbox virtual library is a collection of free literature that is available to registered and unregistered users in any Printbox kiosk in Bahamas. Pay in cash with bills and coins.